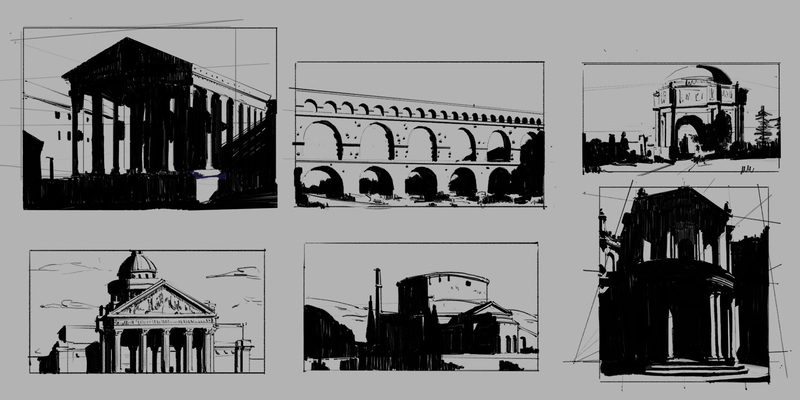 Having strong foundational skills is crucial for creating video game concept art, regardless of beginner or advanced experience. 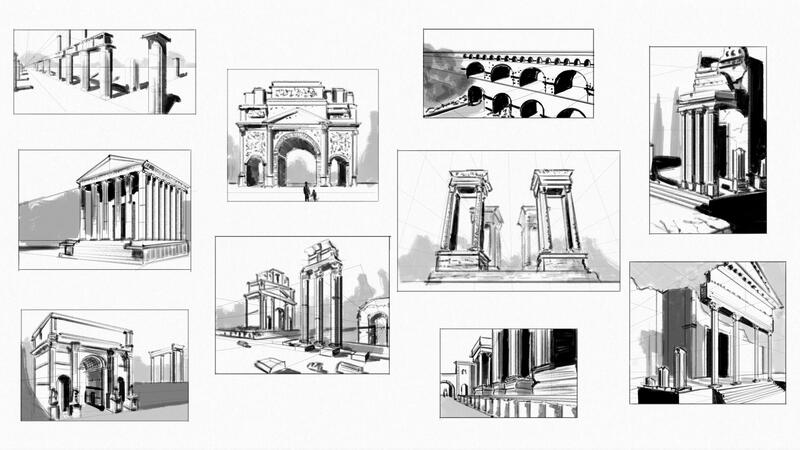 After an overview of art history and architecture, Maciej will walk you through the rules of perspective, and provide several drawing techniques to build a solid foundation. 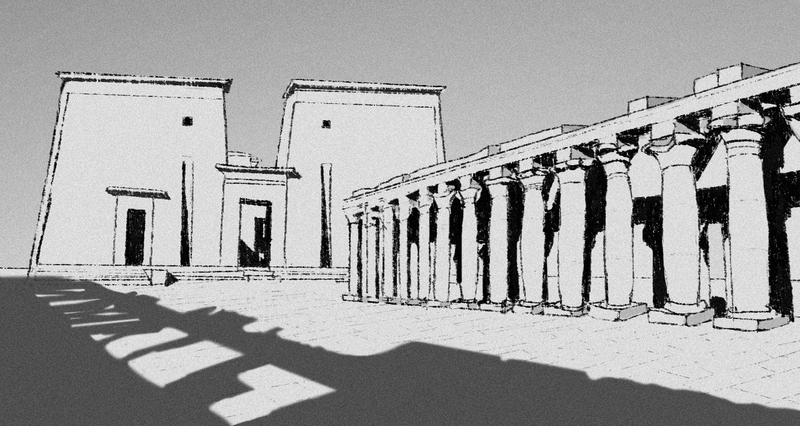 Deconstruct 1-5 Greek, Roman, or Egyptian architectural elements from photography. Draw that element from three (3) different perspective angles. 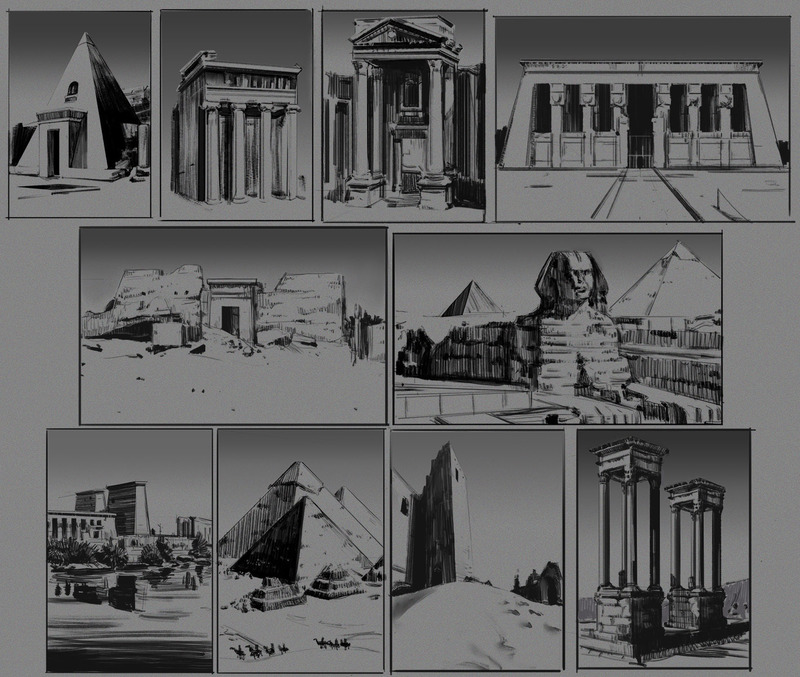 Draw 1-10 sketches of ancient architectural style. Time yourself for under 20 minutes per sketch. 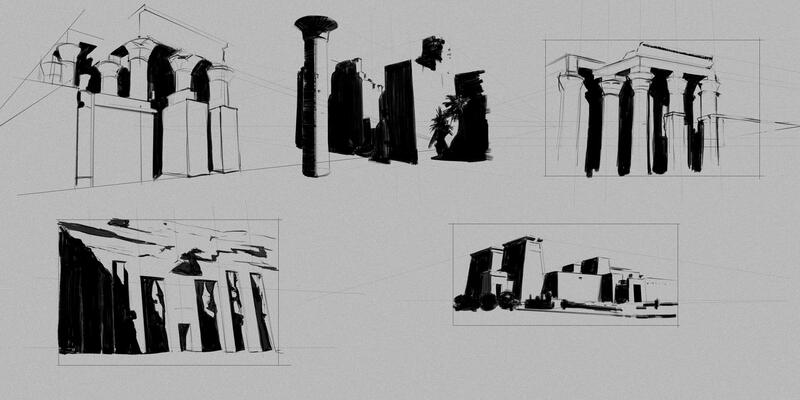 Deconstruct in highest possible detail 1-3 Greek, Roman or Egyptian architectural elements from photography. Draw that element from 1-3 different perspective angles. Hi, were the brush packs uploaded? Read in the comments earlier that they would be but i don't see them. Thanks! I'm not able to upload my homework on Learn squared. Whenever I upload the images, an errors pops up saying please add either an image or a video. Can anyone help me with this..? Hey team, I'm totally missing something here ... should the pencil brush in the Drawing in Perspective video be included in Lesson_1.abr ? It doesn't seem to be in that brush set or the free set linked below? I'm running into the same problem. Did you ever get an answer about the brushes? Hi guys! do you know how to submit more images, it seems you can only submit all the work in one time or maybe there's a way but i can´t find it. When You click on Your homework in student gallery(not directly from profile, You need to find Your work in course gallery) , In the upper left corner, You have "view" and "edit". Click edit and You can add additional images. edit: nevermind my post, my browser was being weird! Do Ancient Rome Architecture include Byzantine Architecture and Romanesque Architecture? Because Byzantine and Romanesque were developed from Ancient Rome. 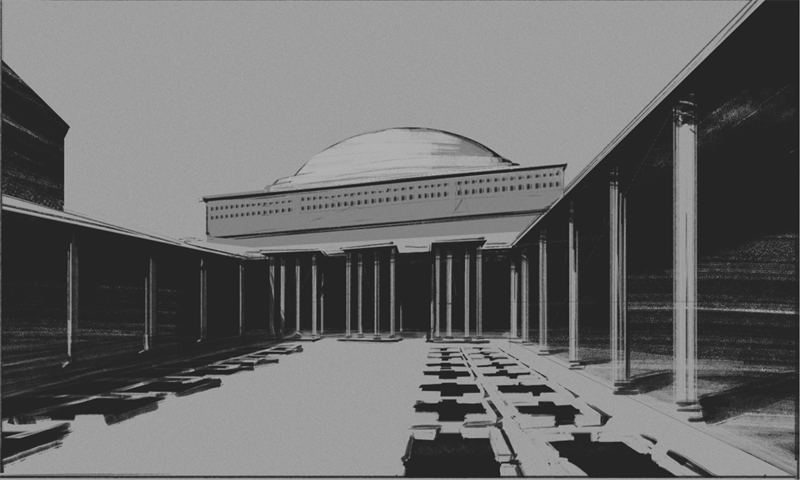 And Byzantine Architecture is from western part of the Roman Empire. 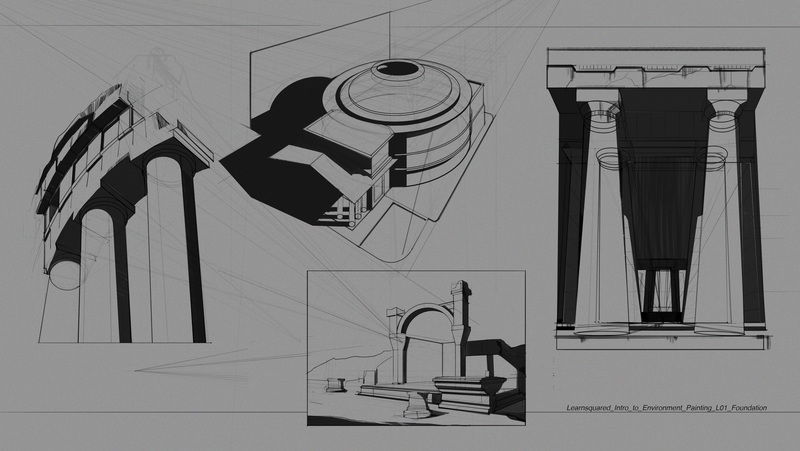 So can i use them as Ancient (Classical) Rome Architecture ??? It's not all about Architecture. But they talk about that city. How it works ?. And there are a lot of HQ shots for references. 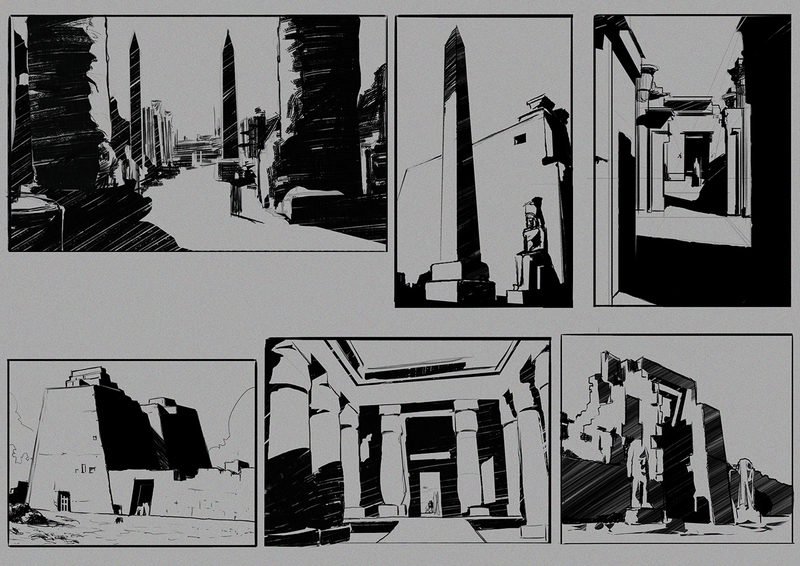 Byzantine and Romanesque highlights are covered in Lesson 2 :) Great link btw! Hi Maciej, first time taking your course, good to see how thoughtful and well-built your content is, really appreciated it. I really like the way you designed your course and homework assignment modularly, great concept, highly expandable. Also, can you talk a little bit more about executing the line when doing the line sketch? Like you mentioned the way you draw your shadow, you keep it unified so it looks like it was done under the same procedural and same style, it looks great aesthetically, can you teach more about how to draw the lines, in terms of maintaining a harmonious looks, pursuing speed without sacrificing too much quality? I really love your line drawing, which can be seen in your #ArtHabit series of drawing, beautifully executed, it will be wonderful if you can show some tips and tricks specifically for this technique. Thank you Maciej and Oliver Beck for the reply. It is fantastic to hear you have this plan in mind. Thank you for your comment. I am specifically talking about how to make line sketch beautiful, aesthetically. I am not talking about how to do it literally or technically. But I am still appreciate your time. use the line tool or, if you want to handdraw everything there are a buch of exercises you can do. For example draw straight vertical or horizontal lines or make 2 dots on the page and try to connect them with a straight line. Draw ellipses and circles that fit exactly between 2 horizontal/vertical lines. Scott Robertsons introduces some of these exercises in his great book "how to draw". I'm looking into this subject actually, was thinking to make purely entry level drawing and digital painting course that would focus entirely on this subject, but it's too early to tell. Project files such as the 5 brushes for this lesson are just avalible on the learnsquared package ? Did these ever get released to everyone? Good luck all! Let's get this done! I might need to re-record it after whole course is finished. I was testing noise-cancelling and wasn't happy but might have forgotten to tick it off in 1-2 videos. It will get fixed, thanks for pointing it out.